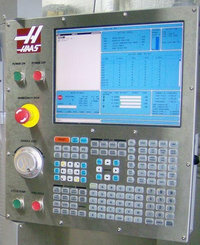 The tool appeared to be unclamped during spindle orientation, a gear change, a speed change, or TSC start-up. The alarm is also generated if the tool release piston is energized during Power Up. This can be caused by incorrect TRP switch function or adjustment, an air solenoid fault, relays on the I/O assembly, draw bar assembly, or the wiring.